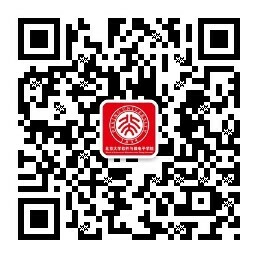 School of Software and Microelectronics, Peking University was founded with approval from the Ministry of Education, the State Planning Commission and Ministry of Science and Technology as “National Demonstration School of Software” and “National Training Base for IC Professionals”. School of Software and Microelectronics, Peking University has 4 Master specialties (Software Engineering, Integrated Circuit Engineering, Project Management, Electrical and Communication Engineering) and 2 doctoral specialties (Software and Service Engineering, and Integrated Circuit and System). The school has an annual enrollment of 1000 graduate students. 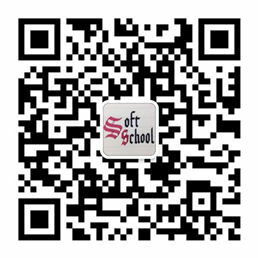 School of Software and Microelectronics at Peking University now invites applications for academic and research positions at the rank of Department Chairs, Assistant/Associate or Full Professor worldwide. 7. Faculty positions for above Departments, and Financial Information Engineering, Software and Service Engineering. 1. Applicants should have good feelings toward China, Peking University, and demonstrate a strong commitment to high-quality graduate teaching and development of a vibrant research program. 2. Have a strong record of research, scholarship and excellence in teaching. 3. The applicants should have an earned doctorate or expect a doctorate soon in Computer Science and Engineering, Electrical and computer Engineering, Management of Technology, Digital Arts, and other relevant disciplines. 4. The applicants for position of Department Chair should have a full Professorship or equivalent from a worldwide recognized university and good management experience. Individuals with a strong record of leadership, research, scholarship and excellence in teaching are encouraged to apply. 5. Applicants should have good health. 2. The searching committee will review all applications and conduct interviews. 3. The searching committee will recommend the qualified applicants to school board of Appointment for approval. a) To act as the representative of the department to school administration. b) To act as an advocate for the mission of the department to the administration. c) To act as a mentor and facilitator for the faculty and staff within the department as they carry out their mission. d) To act as an administrator of the department in accomplishing necessary managerial tasks. f) Promoting cooperation with world-class universities and global companies. h) Coordinating teach, research and other departmental activities. 2. Faculty Responsibility: Conduct teaching and researching according to departmental teach and research plans; Work on and complete other tasks assigned by the department or school. All Positions are expected to be paid according to the Regulations on Teacher Salary of School of Software and Microelectronics, Peking University.